In psychology and philosophy, emotion is a subjective, conscious experience characterized primarily by psychophysiological expressions, biological reactions, and mental states. A similar multicompenential description of emotion is found in sociology. For example, Peggy Thoits described emotions as involving physiological components, cultural or emotional labels (e.g., anger, surprise etc. ), expressive body actions, and the appraisal of situations and contexts. Emotion is often associated and considered reciprocally influential with mood, temperament, personality, disposition, and motivation. It also is influenced by hormones and neurotransmitters such as dopamine, noradrenaline, serotonin, oxytocin, cortisol and GABA. Emotion is often the driving force behind motivation, positive or negative. An alternative definition of emotion is a "positive or negative experience that is associated with a particular pattern of physiological activity." The physiology of emotion is closely linked to arousal of the nervous system with various states and strengths of arousal relating, apparently, to particular emotions. Emotions are a complex state of feeling that results in physical and psychological changes that influence our behaviour. Those acting primarily on emotion may seem as if they are not thinking, but cognition is an important aspect of emotion, particularly the interpretation of events. For example, the experience of fear usually occurs in response to a threat. The cognition of danger and subsequent arousal of the nervous system (e.g. rapid heartbeat and breathing, sweating, muscle tension) is an integral component to the subsequent interpretation and labeling of that arousal as an emotional state. Emotion is also linked to behavioral tendency. Extroverted people are more likely to be social and express their emotions, while introverted people are more likely to be more socially withdrawn and conceal their emotions. Research on emotion has increased significantly over the past two decades with many fields contributing including psychology, neuroscience, endocrinology, medicine, history, sociology, and even computer science. The numerous theories that attempt to explain the origin, neurobiology, experience, and function of emotions have only fostered more intense research on this topic. Current areas of research in the concept of emotion include the development of materials that stimulate and elicit emotion. In addition PET scans and fMRI scans help study the affective processes in the brain. The word "emotion" dates back to 1579, when it was adapted from the French word émouvoir, which means "to stir up". However, the earliest precursors of the word likely dates back to the very origins of language. Emotions are intense feelings that are directed at someone or something. Emotions have been described as discrete and consistent responses to internal or external events which have a particular significance for the organism. Emotions are brief in duration and consist of a coordinated set of responses, which may include verbal, physiological, behavioural, and neural mechanisms. Psychotherapist Michael C. Graham describes all emotions as existing on a continuum of intensity. Thus fear might range from mild concern to terror or shame might range from simple embarrassment to toxic shame. Emotions have also been described as biologically given and a result of evolution because they provided good solutions to ancient and recurring problems that faced our ancestors. Moods are feelings that tend to be less intense than emotions and that often lack a contextual stimulus. For more than 40 years, Paul Ekman has supported the view that emotions are discrete, measurable, and physiologically distinct. Ekman's most influential work revolved around the finding that certain emotions appeared to be universally recognized, even in cultures that were preliterate and could not have learned associations for facial expressions through media. Another classic study found that when participants contorted their facial muscles into distinct facial expressions (e.g. disgust), they reported subjective and physiological experiences that matched the distinct facial expressions. His research findings led him to classify six emotions as basic: anger, disgust, fear, happiness, sadness and surprise. 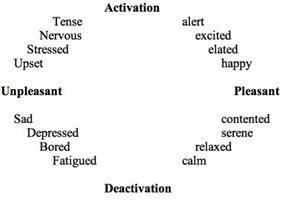 Robert Plutchik agreed with Ekman's biologically driven perspective but developed the "wheel of emotions", suggesting eight primary emotions grouped on a positive or negative basis: joy versus sadness; anger versus fear; trust versus distrust; and surprise versus anticipation. Some basic emotions can be modified to form complex emotions. The complex emotions could arise from cultural conditioning or association combined with the basic emotions. Alternatively, similar to the way primary colors combine, primary emotions could blend to form the full spectrum of human emotional experience. For example, interpersonal anger and disgust could blend to form contempt. Relationships exist between basic emotions, resulting in positive or negative influences. Through the use of multidimensional scaling, psychologists can map out similar emotional experiences, which allows a visual depiction of the "emotional distance" between experiences. A further step can be taken by looking at the map's dimensions of the emotional experiences. The emotional experiences are divided into two dimensions known as valences (how negative or positive the experience was) and arousal (extent of reaction to stimuli). These two dimensions can be depicted on a 2D coordinate map. Hochschild, A.R. (1983). The managed heart: Commercialization of human feelings. Berkeley: University of California Press. Mandler, G. (1984). Mind and Body: Psychology of emotion and stress. New York: Norton. Scherer, K. (2005). What are emotions and how can they be measured? Social Science Information Vol. 44, No. 4: 695–729. Zeki, S. & Romaya, J.P. (2008), "Neural correlates of hate", PloS one, vol. 3, no. 10, pp. 3556. Denton, Derek (2006). The Primordial Emotions: The Dawning of Consciousness. Oxford University Press. Fox, Elaine (2008). Emotion Science: An Integration of Cognitive and Neuroscientific Approaches. Palgrave MacMillan. ^ a b Thoits, P. A. (1989). The sociology of emotions. Annual Review of Sociology, 15, 317-342. ^ "Theories of Emotion". Psychology.about.com. 2013-09-13. Retrieved 2013-11-11. ^ a b c d Gaulin, Steven J. C. and Donald H. McBurney. Evolutionary Psychology. Prentice Hall. 2003. ISBN 978-0-13-111529-3, Chapter 6, p 121-142. ^ Schacter, Daniel L. (2011). Psychology Second Edition. 41 Madison Avenue, New York, NY 10010: Worth Publishers. p. 310. ^ Merriam-Webster (2004). The Merriam-Webster dictionary (11th ed.). Springfield, MA: Author. ^ Graham, Michael C. (2014). Facts of Life: ten issues of contentment. Outskirts Press. p. 63. ^ Graham, Michael C. (2014). Facts of Life: Ten Issues of Contentment. Outskirts Press. ^ Ekman, Paul (1992). "An argument for basic emotions". Cognition & Emotion 6: 169–200. ^ Scherer, K. R. (2005). "What are emotions? And how can they be measured?". Social Science Information 44: 693–727. ^ Schwarz, N. H. (1990). Feelings as information: Informational and motivational functions of affective states. Handbook of motivation and cognition: Foundations of social behavior, 2, 527-561. ^ a b Handel, Steven. "Classification of Emotions". Retrieved 30 April 2012. ^ Plutchik , R. (2002). Nature of emotions" American Scientist89, 349. ^ Schacter, Daniel L. (2011). Psychology Ed. 2. 41 Madison Avenue New York, NY 10010: Worth Publishers. ^ Suchy, Yana (2011). Clinical neuropsychology of emotion. New York, NY: Guilford. ^ Aquinas, Thomas. Summa Theologica. Q.59, Art.2. ^ McIntosh, D. N., Zajonc, R. B., Vig, P. S., & Emerick, S. W. (1997). Facial movement, breathing, temperature, and affect: Implications of the vascular theory of emotional efference. Cognition & Emotion, 11(2), 171-195. ^ a b c James, William. 1884. "What Is an Emotion?" Mind. 9, no. 34: 188-205. ^ Dalgleish, T. (2004). The emotional brain. Nature: Perspectives, 5, 582–89. ^ a b Cannon, Walter B. (1929). "Organization for Physiological Homeostasis". Physiological Review 9 (3): 399–421. ^ Cannon, Walter B. (1927). "The James-Lange theory of emotion: A critical examination and an alternative theory.". The American Journal of Psychology 39: 106–124. ^ Daniel L. Schacter, Daniel T. Gilbert, Daniel M. Wegner (2011). Psychology. Worth Publishers ). ^ a b Givens, David B. (1998). "Emotion". Center for Nonverbal Studies. Retrieved 7 May 2014. ^ Kringelbach, M.L. ; O'Doherty, J.O. ; Rolls, E.T. ; & Andrews, C. (2003). Activation of the human orbitofrontal cortex to a liquid food stimulus is correlated with its subjective pleasantness. Cerebral Cortex, 13, 1064–1071. ^ Drake, R.A. (1987). Effects of gaze manipulation on aesthetic judgments: Hemisphere priming of affect. Acta Psychologica, 65, 91–99. ^ Merckelbach, H.; & van Oppen, P. (1989). Effects of gaze manipulation on subjective evaluation of neutral and phobia-relevant stimuli: A comment on Drake's (1987) 'Effects of gaze manipulation on aesthetic judgments: Hemisphere priming of affect.' Acta Psychologica, 70, 147–151. ^ Harmon-Jones, E.; Vaughn-Scott, K.; Mohr, S.; Sigelman, J.; & Harmon-Jones, C. (2004). The effect of manipulated sympathy and anger on left and right frontal cortical activity. Emotion, 4, 95–101. ^ Schmidt, L.A. (1999). Frontal brain electrical activity in shyness and sociability. Psychological Science, 10, 316–320. ^ Garavan, H.; Ross, T.J.; & Stein, E.A. (1999). Right hemispheric dominance of inhibitory control: An event-related functional MRI study. Proceedings of the National Academy of Sciences, 96, 8301–8306. ^ Drake, R.A.; & Myers, L.R. (2006). Visual attention, emotion, and action tendency: Feeling active or passive. Cognition and Emotion, 20, 608–622. ^ Wacker, J.; Chavanon, M.-L.; Leue, A.; & Stemmler, G. (2008). Is running away right? The behavioral activation–behavioral inhibition model of anterior asymmetry. Emotion, 8, 232–249. ^ Craig, A.D. (Bud) (2003). "Interoception: The sense of the physiological condition of the body". Current Opinion in Neurobiology 13 (4): 500–505. ^ Denton DA, McKinley MJ, Farrell M, Egan GF (June 2009). "The role of primordial emotions in the evolutionary origin of consciousness". Conscious Cogn 18 (2): 500–14. ^ "EmoNet". Uq.edu.au. Retrieved 2013-11-11. ^ "History of Emotions | Max Planck Institute for Human Development". Mpib-berlin.mpg.de. Retrieved 2013-11-11. ^ "Cultura Emocional E Identidad". Unav.es. Retrieved 2013-11-11. ^ Turner, J. H. (2007). Human emotions: A sociological theory. London: Routledge. ^ Turner, J. H. (2009). The sociology of emotion: Basic Theoretical arguments. Emotion Review, 1(4), 340-354. ^ Durkheim, E. (1915/1912). The elementary forms of the religious life, trans. J. W. Swain. New York: Free Press. ^ Cooley, C. H. (1992). Human nature and the social order. New Brunswick: Transaction Publishers. ^ Retzinger, S. M. (1991). Violent emotions: Shame and rage in marital quarrels. London: SAGE. ^ Olitsky, S. (2007). Science learning, status and identity formation in an urban middle school. In W.-M. Roth & K. G. Tobin (Eds. ), Science, learning, identity: Sociocultural and cultural-historical perspectives. (pp. 41-62). Rotterdam, The Netherlands: Sense. ^ Tobin, K., Ritchie, S. M., Oakley, J., Mergard, V., & Hudson, P. (2013). Relationships between emotional climate and the fluency of classroom interactions. Learning Environments Research, 16, 71-89. ^ Zembylas, M. (2002). Constructing genealogies of teachers’ emotions in science teaching. Journal of Research in Science Teaching, 39, 79–103. ^ Hammock E.A.D, Young L.J. Microsatellite instability generates diversity in brain and sociobehavioral traits. Science. 2005;308:1630–1634. ^ "On Emotion – an article from Manchester Gestalt Centre website". 123webpages.co.uk. Retrieved 2013-11-11. ^ Tao, Jianhua; Tieniu Tan (2005). "Affective Computing and Intelligent Interaction" 3784. Springer. pp. 981–995. ^ Kleine-Cosack, Christian (October 2006). "Recognition and Simulation of Emotions" (PDF). Archived from the original on May 28, 2008. Retrieved May 13, 2008. The introduction of emotion to computer science was done by Pickard (sic) who created the field of affective computing. ^ Cherry, Kendra. "v". Retrieved 30 April 2012. ^ The Tomkins Institute. "Applied Studies in Motivation, Emotion, and Cognition". Retrieved 30 April 2012. Jonathan Turner (born 1942) - American sociologist from the University of California, Riverside who is a general sociological theorist with specialty areas including the sociology of emotions, ethnic relations, social institutions, social stratification, and bio-sociology. Silvan Tomkins (1911–1991) developed the Affect theory and Script theory. The Affect theory introduced the concept of basic emotions, and was based on the idea that the dominance of the emotion , which he called the affect system, was the motivating force in human life. Emotion regulation refers to the cognitive and behavioral strategies people use to influence their own emotional experience. For example, a behavioral strategy in which one avoids a situation to avoid unwanted emotions (e.g., trying not to think about the situation, doing distracting activities, etc.). Depending on the particular school's general emphasis on either cognitive components of emotion, physical energy discharging, or on symbolic movement and facial expression components of emotion, different schools of psychotherapy approach the regulation of emotion differently. Cognitively oriented schools approach them via their cognitive components, such as rational emotive behavior therapy. Yet others approach emotions via symbolic movement and facial expression components (like in contemporary Gestalt therapy). Tobin, et al., 2013; Zembylas, 2002). These studies show that learning subjects like school science can be understood in terms of classroom interaction rituals that generate emotional energy and collective states of emotional arousal like emotional climate. In the 1990's, sociologists focused on different aspects of specific emotions and how these emotions were socially relevant. For Cooley (1992), pride and shame were the most important emotions that drive people to take various social actions. During every encounter, he proposed that we monitor ourselves through the "looking glass" that the gestures and reactions of others provide. Depending on these reactions, we either experience pride or shame and this results in particular paths of action. Retzinger (1991) conducted studies of married couples who experienced cycles of rage and shame. Drawing predominantly on Goffman and Cooley's work, Scheff (1990) developed a microsociological theory of the social bond. The formation or disruption of social bonds is dependant on the emotions that people experience during interactions. Attempts are frequently made to regulate emotion according to the conventions of the society and the situation based on many (sometimes conflicting) demands and expectations which originate from various entities. The emotion of anger is in many cultures discouraged in girls and women, while fear is discouraged in boys and men. Expectations attached to social roles, such as "acting as man" and not as a woman, and the accompanying "feeling rules" contribute to the differences in expression of certain emotions. Some cultures encourage or discourage happiness, sadness, or jealousy, and the free expression of the emotion of disgust is considered socially unacceptable in most cultures. Some social institutions are seen as based on certain emotion, such as love in the case of contemporary institution of marriage. In advertising, such as health campaigns and political messages, emotional appeals are commonly found. Recent examples include no-smoking health campaigns and political campaign advertising emphasizing the fear of terrorism. A common way in which emotions are conceptualized in sociology is in terms of the multidimensional characteristics including cultural or emotional labels (e.g., anger, pride, fear, happiness), physiological changes (e.g., increased perspiration, changes in pulse rate), expressive facial and body movements (e.g., smiling, frowning, baring teeth), and appraisals of situational cues. One comprehensive theory of emotional arousal in humans has been developed by Jonathan Turner (2007: 2009). Two of the key eliciting factors for the arousal of emotions within this theory are expectations states and sanctions. When people enter a situation or encounter with certain expectations for how the encounter should unfold, they will experience different emotions depending on the extent to which expectations for Self, other and situation are met or not met. People can also provide positive or negative sanctions directed at Self or other which also trigger different emotional experiences in individuals. Turner analyzed a wide range of emotion theories across different fields of research including sociology, psychology, evolutionary science, and neuroscience. Based on this analysis, he identified four emotion that all researchers consider to founded on human neurology including assertive-anger, aversion-fear, satisfaction-happiness, and disappointment-sadness. These four categories are called primary emotions and there is some agreement amongst researchers that these primary emotions become combined to produce more elaborate and complex emotional experiences. These more elaborate emotions are called first-order elaborations in Turner's theory and they include sentiments such as pride, triumph, and awe. Emotions can also be experienced at different levels of intensity so that feelings of concern are a low-intensity variation of the primary emotion aversion-fear whereas depression is a higher intensity variant. Arlie Russell Hochschild's concept of emotional labor. The University of Queensland hosts EmoNet, an e-mail distribution list representing a network of academics that facilitates scholarly discussion of all matters relating to the study of emotion in organizational settings. The list was established in January 1997 and has over 700 members from across the globe. Derek Denton defines the latter as "the subjective element of the instincts, which are the genetically programmed behaviour patterns which contrive homeostasis. They include thirst, hunger for air, hunger for food, pain and hunger for specific minerals etc. There are two constituents of a primordial emotion--the specific sensation which when severe may be imperious, and the compelling intention for gratification by a consummatory act." Emotions are thought to be related to certain activities in brain areas that direct our attention, motivate our behavior, and determine the significance of what is going on around us. Pioneering work by Broca (1878), Papez (1937), and MacLean (1952) suggested that emotion is related to a group of structures in the center of the brain called the limbic system, which includes the hypothalamus, cingulate cortex, hippocampi, and other structures. More recent research has shown that some of these limbic structures are not as directly related to emotion as others are, while some non-limbic structures have been found to be of greater emotional relevance. Based on discoveries made through neural mapping of the mammalian brain. If distinguished from reactive responses of reptiles, emotions would then be mammalian elaborations of general vertebrate arousal patterns, in which neurochemicals (for example, dopamine, noradrenaline, and serotonin) step-up or step-down the brain's activity level, as visible in body movements, gestures, and postures. Emotions can likely be mediated by pheromones (see fear). Emotions can motivate social interactions and relationships and therefore are directly related with basic physiology, particularly with the stress systems. This is important because emotions are related to the anti-stress complex, with an oxytocin-attachment system, which plays a major role in bonding. Emotional phenotype temperaments affect social connectedness and fitness in complex social systems (Kurt Kortschal 2013). These characteristics are shared with other species and taxa and are due to the effects of genes and their continuous transmission. Information that is encoded in the DNA sequences provides the blueprint for assembling proteins that make up our cells. Zygotes require genetic information from their parental germ cells, and at every speciation event, heritable traits that have enabled its’ ancestor to survive and reproduce successfully are passed down along with new traits that could be potentially beneficial to the offspring. In the five million years since the linages leading to modern humans and chimpanzees split, only about 1.2% of their genetic material has been modified. This suggests that everything that separates us from chimpanzees must be encoded in that very small amount of DNA, including our behaviors. Students that study animal behaviors have only identified intraspecific examples of gene-dependent behavioral phenotypes. In voles (Microtus spp.) minor genetic differences have been identified in a vasopressin receptor gene that corresponds to major species differences in social organization and the mating system (Hammock & Young 2005). Another potential example with behavioral differences is the FOCP2 gene, which is involved in neural circuitry handling speech and language (Vargha-Khadem et al. 2005). Its present form in humans differed from that of the chimpanzees by only a few mutations and has been present for about 200,000 years, coinciding with the beginning of modern humans (Enard et al. 2002). Speech, language, and social organization are all part of the basis for emotions. It has also been suggested that emotions (affect heuristics, feelings and gut-feeling reactions) are often used as shortcuts to process information and influence behavior. The Research on Emotion in Organizations in 2005. There are some theories on emotions arguing that cognitive activity in the form of judgements, evaluations, or thoughts are necessary in order for an emotion to occur. A prominent philosophical exponent is Robert C. Solomon (for example, The Passions, Emotions and the Meaning of Life, 1993). Solomon claims that emotions are judgements. He has put forward a more nuanced view which responds to what he has called the ‘standard objection’ to cognitivism, the idea that a judgement that something is fearsome can occur with or without emotion, so judgement cannot be identified with emotion. The theory proposed by Nico Frijda where appraisal leads to action tendencies is another example. Stanley Schachter formulated his theory on the earlier work of a Spanish physician, Gregorio Maranon, who injected patients with epinephrine and subsequently asked them how they felt. Interestingly, Maranon found that most of these patients felt something but in the absence of an actual emotion-evoking stimulus, the patients were unable to interpret their physiological arousal as an experienced emotion. Schachter did agree that physiological reactions played a big role in emotions. He suggested that physiological reactions contributed to emotional experience by facilitating a focused cognitive appraisal of a given physiologically arousing event and that this appraisal was what defined the subjective emotional experience. Emotions were thus a result of two-stage process: general physiological arousal, and experience of emotion. For example, the physiological arousal, heart pounding, in a response to an evoking stimulus, the sight of a bear in the kitchen. The brain then quickly scans the area, to explain the pounding, and notices the bear. Consequently, the brain interprets the pounding heart as being the result of fearing the bear. With his student, Jerome Singer, Schachter demonstrated that subjects can have different emotional reactions despite being placed into the same physiological state with an injection of epinephrine. Subjects were observed to express either anger or amusement depending on whether another person in the situation (a confederate) displayed that emotion. Hence, the combination of the appraisal of the situation (cognitive) and the participants' reception of adrenaline or a placebo together determined the response. This experiment has been criticized in Jesse Prinz's (2004) Gut Reactions. An example of this theory in action would be as follows: An emotion-evoking stimulus (snake) triggers a pattern of physiological response (increased heart rate, faster breathing, etc. 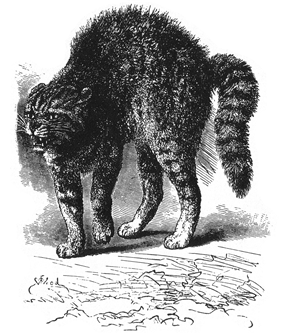 ), which is interpreted as a particular emotion (fear). This theory is supported by experiments in which by manipulating the bodily state induces a desired emotional state. Some people may believe that emotions give rise to emotion-specific actions: e.g. "I'm crying because I'm sad," or "I ran away because I was scared." The issue with the James–Lange theory is that of causation (bodily states causing emotions and being a priori), not that of the bodily influences on emotional experience (which can be argued and is still quite prevalent today in biofeedback studies and embodiment theory). 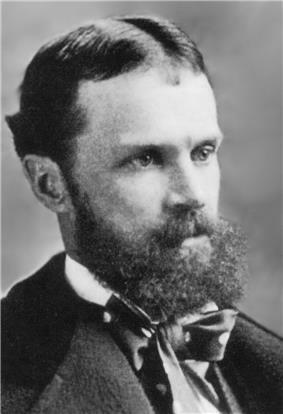 In his 1884 article William James argued that feelings and emotions were secondary to physiological phenomena. In his theory, James proposed that the perception of what he called an "exciting fact" led directly to a physiological response, known as "emotion." To account for different types of emotional experiences, James proposed that stimuli trigger activity in the autonomic nervous system, which in turn produces an emotional experience in the brain. The Danish psychologist Carl Lange also proposed a similar theory at around the same time, and therefore this theory became known as the James–Lange theory. As James wrote, "the perception of bodily changes, as they occur, is the emotion." James further claims that "we feel sad because we cry, angry because we strike, afraid because we tremble, and neither we cry, strike, nor tremble because we are sorry, angry, or fearful, as the case may be." Perspectives on emotions from evolutionary theory were initiated in the late 19th century with Charles Darwin's book The Expression of the Emotions in Man and Animals. Darwin argued that emotions actually served a purpose for humans, in communication and also in aiding their survival. Darwin, therefore, argued that emotions evolved via natural selection and therefore have universal cross-cultural counterparts. Darwin also detailed the virtues of experiencing emotions and the parallel experiences that occur in animals (see emotion in animals). This led the way for animal research on emotions and the eventual determination of the neural underpinnings of emotion. Western philosophy regarded emotion in varying ways. In stoic theories it was seen as a hindrance to reason and therefore a hindrance to virtue. Aristotle believed that emotions were an essential component to virtue. In the Aristotelian view all emotions (called passions) corresponded to an appetite or capacity. During the Middle Ages, the Aristotelian view was adopted and further developed by scholasticism and Thomas Aquinas in particular. There are also theories in the works of philosophers such as René Descartes, Niccolò Machiavelli, Baruch Spinoza and David Hume. In the 19th century emotions were considered adaptive and were studied more frequently from an empiricist psychiatric perspective.